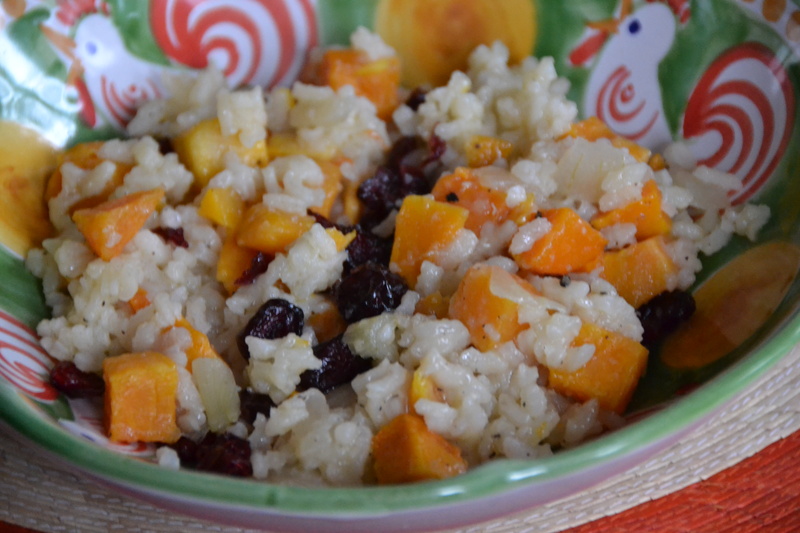 This is a delicious recipe for creamy risotto studded with delicious roasted butternut squash and sweet dried cranberries. Roasting squash is simple; just cube, toss with olive oil, spread evenly on a baking sheet, season with salt and pepper and cook until it’s reached your desired consistency. Roasting sweetens the squash’s flavor, making it perfect to eat on its own or to pair with risotto. Baking the risotto in the oven is a nice shortcut so you don’t have to stir and stir the risotto on the stove top to get the perfect consistency. This a dinner that will make your house smell wonderful and will satisfy your family on a wintry night. This post was sponsored by Health Perch but all opinions are my own. Try these simple flavor combinations to make the most of my favorite winter squash, the delicious butternut. This risotto sounds like Christmas dinner to me!